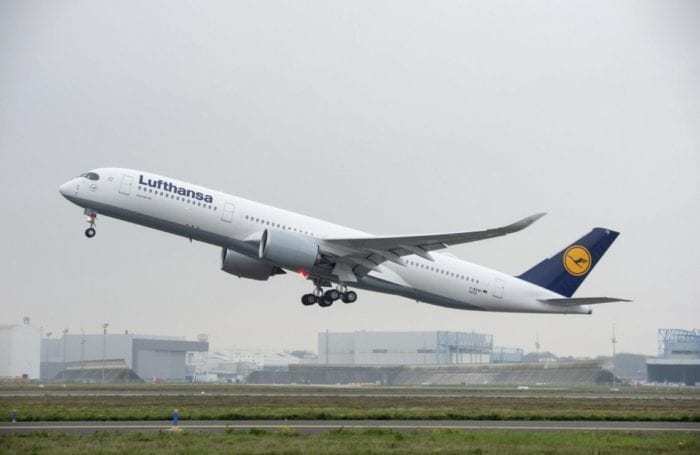 Lufthansa is going to deploy a new A350-900 to reopen their non-stop Munich To Sao Paulo route. It will be the only flight that links the two cities directly. This comes hot on the heels of the news that Virgin Atlantic will also be offering a service to the same city, as the Brazilian aviation market heats up. Outbound Munich – Monday, Thursday and Saturday at 10:30 PM – Arriving 7:55 AM the following day. Outbound Sao Paulo – Tuesday, Friday and Sunday at 7:00 PM – Arriving 9:35 AM the following day. Lufthansa has been operating the Airbus A350 since 2015 and has another 31 soon to join their current fleet of 14. They are replacing their aging fleet of Airbus A340s. 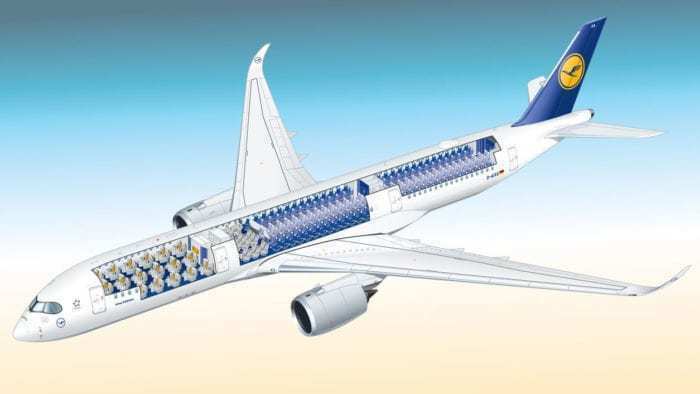 The plane will carry 48 passengers in a lie-flat business class, 21 reclining premium economy seats and a large 224 economy seats. Unfortunately, it seems that the business class onboard this A350 is not the new business class we are humbly awaiting on their new 777X to be delivered later this year. The business class onboard is in a 2-2-2 configuration and has little privacy. Brazil is increasingly becoming a popular destination for Airlines, as the countries, the large population continues to develop and gain access to further air travel. Sao Paulo is Brazil’s largest city, with 21 million residences spread over the greater region. 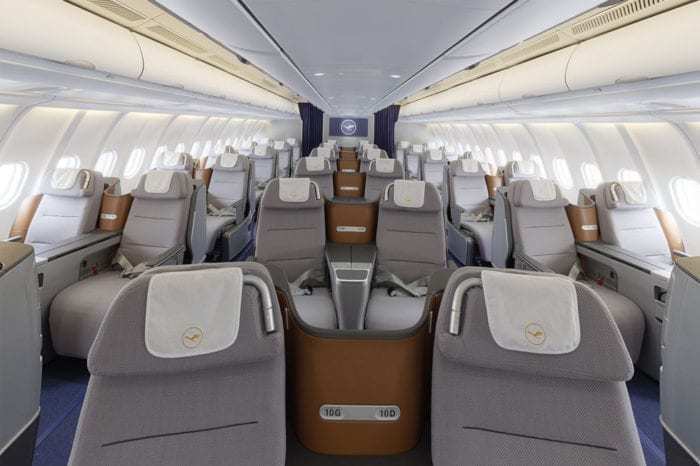 Lufthansa has indicated that whilst they will cater to the tourist market, they are mainly focusing on business passengers. Virgin Atlantic was quick to seize on this opportunity to rival British Airways to the city just last month, using the same plane, the A350! It would seem that Virgin is ready to take on and even seems to be challenging, the current airlines serving the city. Whilst Lufthansa will not be in direct competition, Virgin will be using their new business class suite on the route and thus will put the older Lufthansa offering to shame. What do you think? 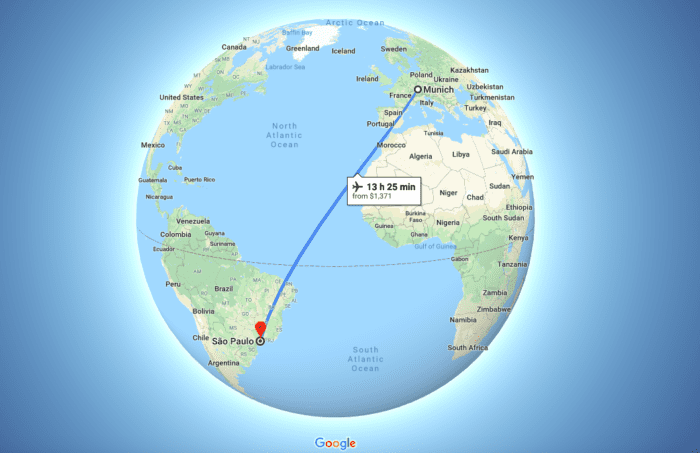 Will you fly on this direct route to South America?